BBC reported on 17th Nov 2005 that “A gadget beloved of tabloid darlings such as Nicole Richie and Paris Hilton, the Sidekick II, has made its way across the pond to the UK. 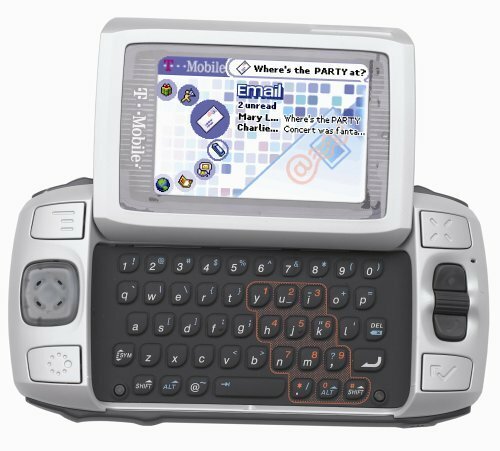 The Sidekick II that T-Mobile has promoted in the US, Germany and now the UK is made by Japanese electronics giant Sharp. Earlier versions were made by Flextronics. Even the name is T-Mobile’s choice. When Danger’s gadget was first released it was called the Hiptop. In the handset software Danger has included hooks into popular online e-mail services, instant messaging networks and every owner gets their own webspace in which to post the pictures they take with the device.